Spinal decompression is a treatment offered in our clinic for patients who are experiencing back pain and in need of relief. To find out how this or other solutions we offer can assist you in regaining mobility and comfort, visit or clinic for an examination. We will look at all of the factors that could be contributing to the back pain and make recommendations based on a comprehensive and long-term strategy. Our goal is to improve the overall quality of life for our patients and this requires taking a comprehensive approach to care, rather than addressing only one issue or masking it with medication. Perhaps the most important thing to note is that this is a non-surgical procedure. There is no cutting. There is no need for anesthesia and there is virtually no risk. This is entirely different from spinal surgery, something that some patients consider when suffering from severe back pain. Since this is a non-invasive solution, there is no down time or recovery process. Most patients begin to experience relief immediately rather than needing to recover after an intensive procedure. This makes it wise to consider decompression therapy before trying anything so severe a surgery. As a non-invasive procedure, decompression is affordable and easy to incorporate into an overall treatment plan. Plus, many insurance policies will pay for it. We also offer this treatment solution to patients who are recovering from a workplace injury or car accident. In both cases, the accident claim should cover the treatment cost. It is possible to visit our clinic on a lunch break and receive decompression therapy before heading back to the office. There is no need to take a day off of work or to make arrangements to adjust the daily routine. This makes it easier for patients who are busy to receive the help they need. Decompression therapy helps to alleviate the pressure being placed on the nerves. As the pressure is released, most patients begin to feel immediate relief and that relief continues for some time. This is far superior to any relief experienced by medication. VISIT OUR CLINIC FOR RELIEF. If you are tired of living with back pain, it is important to take the steps necessary to correct the problem once and for all. Masking the symptoms with medication will not do it. Once the medication wears off, it will be necessary to take more. Overtime, as a problem becomes worse, more and more medication may be required just to manage daily life. This is no way to live. Instead, we encourage you to visit our clinic and find relief once and for all. 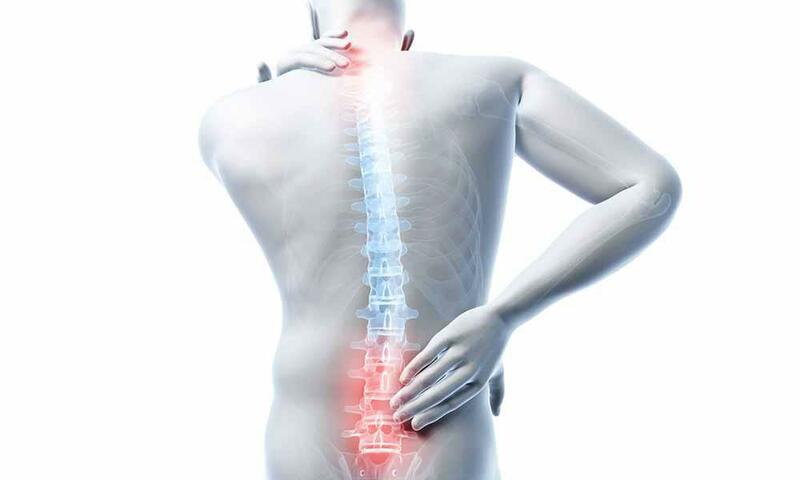 Our innovative treatment solution makes it possible to live a life that is healthy and free from any of the discomforts that tend to plague people with back pain. Call today for help.